A truly integrated volume by four of Canada’s leading Northern specialists, Arctic Front is a clarion call to all Canadians about our endangered Arctic region, challenging the country to step away from the symbols and myth making of the past and toward the urgent political, environmental and economic realities of the 21st century. Unquestionably, this book deals with a subject of major public importance and interest. This is a substantial and accessible book that should be widely read by everyone interested in an insightful introduction to this subject. With passion and sharp words, Arctic Front confronts Canada’s longstanding neglect of the Far North and outline what needs to be done to protect our national interest. neglected our obligations to the North, including a failure to capitalize on the human and economic resources of this vast landor to establish a presence that would make any foreign claims to offshore resources inconceivable. As global warming continues to melt the ice in the Northwest Passage and the competition for northern resources heats up, Canada, the authors warn, will be forced to defend this area from a position of grave weakness. Our leaders need to take action today, blending defense and development, to complete Canadian nation-building in this fragile region. An energetic and engaging collaboration by four of Canada’s leading Northern specialists, Arctic Front is a clarion call to all Canadians about our endangered Arctic region, challenging the country to step away from the symbols and myth-making of the past and toward the urgent political, environmental and economic realities of the 21st century. 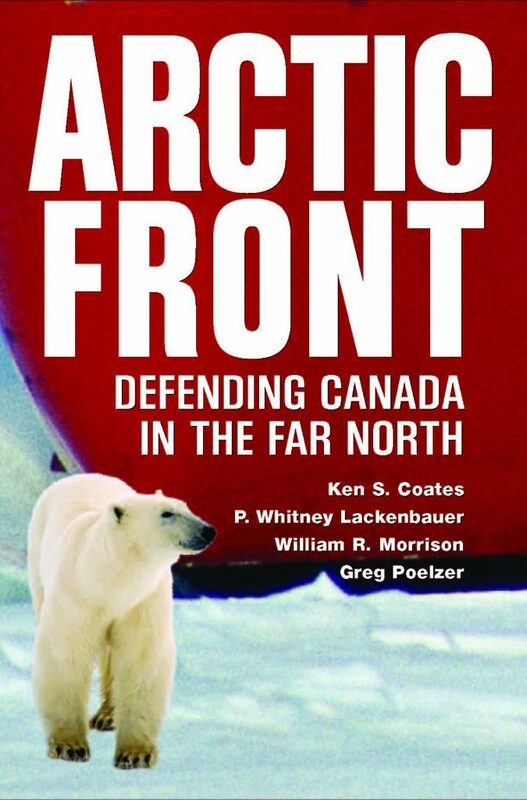 Ken Coates, Bill Morrison, Greg Poelzer, and Whitney Lackenbauer, Arctic Front: Defending Canadian Interests in the Far North (Toronto: Thomas Allen Publishers, 2008). Arctic Front tells the disturbing story of Canada’s absent-mindedness in Arctic policy-making over the decades. This history should fuel a heated national debate as the Arctic ice shrinks and new challenges to our sovereignty appear from all directions. A call to arms for a new era in Canadian culture and politics toward the North. Call it the Arctic Awakening. … Instead of making Arctic policy frightening or unbearably dull, Arctic Front reveals the subject as one of the most interesting foreign policy questions of the 21st century.